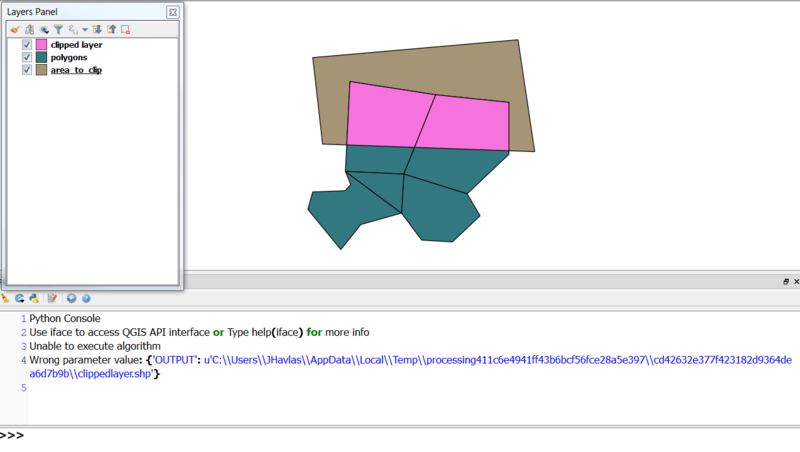 I created a processing script in QGIS 2.18 that connects two processing algorithms (first clip and than dissolve). The output vector from the clip is supposed to be an input into the dissolve. There are several questions adressing related issues like Pipe custom processing algorithm output into another in QGIS 3.0 but none really answers my question. Does anybody know how to correctly pipe algorithms in the example processing script provided above? I know it could be solved by using Processing Modeler but since I plan to expand the script further, please, don´t suggest this as solution. The processing.runalg() return a python dictionary with one record: 'OUTPUT' is the key and the value is the absolute path at result layer. Not the answer you're looking for? Browse other questions tagged pyqgis qgis-processing qgis-2.18 or ask your own question. How to memorize temporary layer from processing.runalg() in pyqgis? 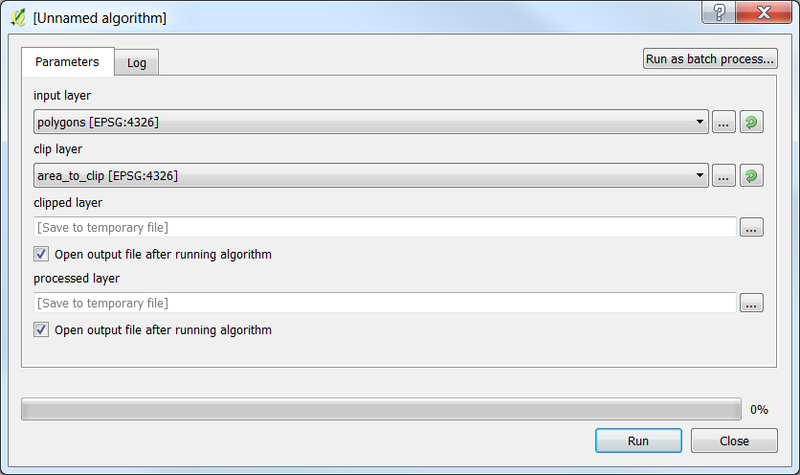 Can I save intermediary results in QGIS Processing Modeler using GRASS algorithms?